Oh, by Hextor, not this Game of Thrones crap. If by now you haven’t got that Jon is really Aegon, to hell with you! Anyway, the season’s up again where we all look for presents for the ones we love. 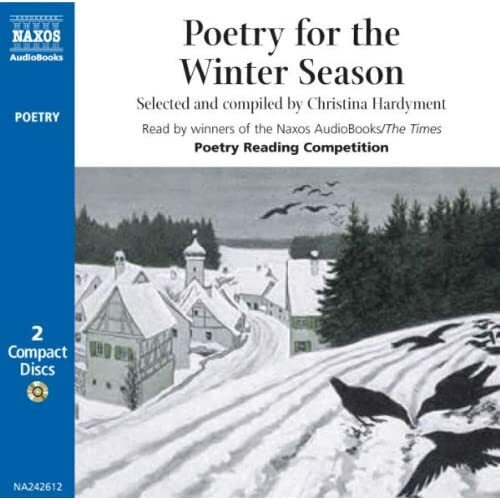 I’d like to take the chance to point to a sublimely beautiful poetry audiobook collection, Poetry for the Winter Season. The most interesting aspect of the collection is that the texts were all selected and read by amateurs, but this doesn’t diminish the appeal of the audiobook. Instead it creates a feeling uniqueness that many other poetry audiobooks lack. Coleridge’s Frost at Midnight is among the selected texts, as is Keats’ (another favorite’s of mine) The Eve of St Agnes, which in my opinion was the best reading on the entire audiobook. In short, this is a moody, and, by all means, well-done poetry collection. In fact, one of the very best I own, and typing this makes me want to go back and listen to it again, even though I will be more than busy at work today. One of my rare favorites for the proverbial lonely island. – Actually, don’t buy this as a gift. If you are like me, you want to buy this for yourself.